In order to see real growth in sustainable tourism, we must at times view it with a critical eye. 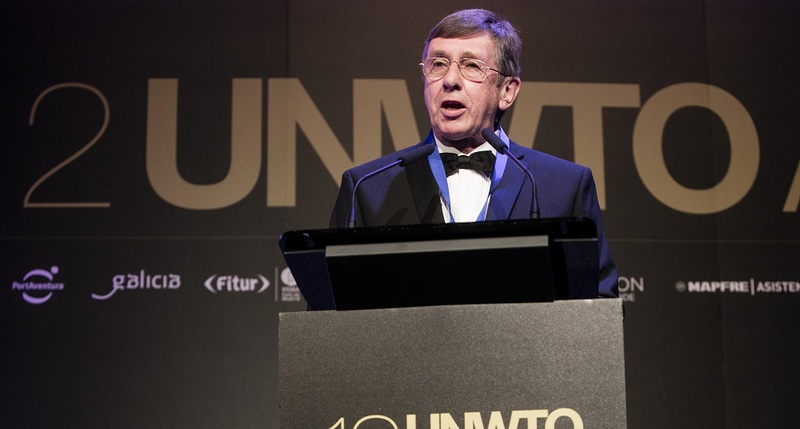 In this interview, Richard Butler, Professor Emeritus of Tourism at University of Strathclyde in Glasgow, looks critically at the realities of sustainability in the tourism industry and of tourism education. With almost 20 years of experience in the field – publishing countless books, reports, and articles – he casts a harsh, but oh-too-true, look at the weaknesses the industry faces in its journey towards sustainability. To move forward successfully, it is important that we take off the rose-colored lenses, and for this reason, this is an interview that shouldn’t be missed. Why transport may be the biggest challenge in achieving genuine sustainability in the tourism industry. Richard, your academic background is in geography. How did your studies in this field lead you to eventually devote your professional life to tourism and sustainability? Geography is about the world, how humans relate to and affect the natural environment and its response. We are concerned with spatial patterns and distributions, “Why what is where” is a good summary. It is very logical, therefore, for tourism geographers to be interested in how tourism develops, what it means for people and places, and what the patterns may be in the future. We are thus interested in how transport systems develop, how people become more mobile and what mobility means in the context of tourism for example, why do people go to certain places, what physical features are attractive to people, and what needs to be done to protect them. In your opinion, how has the concept of sustainable tourism changed over the years? It has become even more meaningless than when it was first mooted in 1987. It now encompasses such a wide list of topics, interests, methods and ideologies as to be virtually useless in any real sense. It has become a substitute for action, an all encompassing term for anything even the slightest shade of green, regardless of whether it really is sustainable or not. It has given rise to far too many places, facilities, and services claiming to be sustainable when they are far from it. Nowhere that requires most of its visitors to fly long haul or travel long distances generally should claim to be sustainable. We have cheapened the term by trying to get all the benefits without paying any of the costs that would be involved in anything truly sustainable. Like ‘ecotourism’, it is a term thrown at anything and everything. You have published 17 books on tourism and hundreds of articles in professional journals. Which themes, issues, or trends do you find most interesting and relevant to the current landscape of sustainability in the tourism industry? First and above all, change: changes in patterns, in impacts, in tastes, in numbers. Second, the relationships between the natural environment and human development and use of areas and methods of mitigating undesirable effects of tourism and on tourism. Third, the links between power, politics, peace, war, and tourism; so much tourism is related to the heritage of conflicts – over land, religion, resources, and beliefs – but we pay little attention to these links. Fourth, remote areas and tourism, particularly in the context of islands, and the issues associated with development – not just of tourism – on people and their environments. One of your areas of expertise is destination management; in your opinion, what are the main challenges destinations face in implementing a successful sustainable tourism strategy? The unsolvable problem of ever-increasing numbers and the impacts of such growth along with the refusal of the industry and governments to acknowledge that numbers are a problem and have to be faced and in some cases limited. Recent protests in places like Venice show clearly that residents of such places are well aware of the problems from excessive numbers, but no agency is willing to cut or even halt an increase in numbers. Related to that is the lack of joined-up thinking and planning, thus for example, a new air service may be started to a location before any planning for tourism has taken place in that location, with the result that tourism rises and development takes place without any planning or controls. You are Professor Emeritus of Tourism at University of Strathclyde in Glasgow. Can you tell us a bit about the tourism program at Strathclyde, how it addresses sustainability, and how it has evolved over the years? The tourism program at Strathclyde was allowed to decline, because it did not fit the desired format of the Business School and did not match the Research Assessment Exercise requirements some 6-8 years ago. As a result, the PhD program has gone, the Masters program has gone, most of the staff in tourism and hospitality have left, and there is only a joint Tourism/Hospitality/Business undergraduate program. The closing of the Scottish Hotel School was a sad day for tourism research in Scotland at a time when the government was arguing how important tourism was to the Scottish economy. Another example of a gap between government statements and actions, university short-sightedness, and limited awareness of an internationally respected set of programs. What have you learned teaching the next generation of tourism professionals? Unfortunately, that most of them have a limited background in terms of deep knowledge in any traditional discipline. I regret that it is possible to go through university programs to the PhD level, taking essentially only tourism modules and programs and thus getting little in-depth conceptual knowledge about other subjects. I do not see tourism as a discipline, I see it as a fascinating topic to study, one that deserves a high level of intellectual study and research of the highest integrity but not something to gain an undergraduate degree in. Do you think that the information and insights gained within the world of academia are reaching the individuals involved in the operational side of the tourism industry? How can we better bridge the gap between sustainable tourism research and its practical application? Not really, but many of us teaching in tourism have had no experience of the operational side of the industry. Tourism is much more than simply the business of tourism, and nowhere is this more evident than in sustainable aspects of tourism. However, I doubt very much that the tourism industry (or any other industry) is or can be very serious or committed about sustainable development as long as they are growth oriented, profit driven, and short sighted in terms of planning and development. This is not meant to be unfair criticism, industry has to focus on its goals and needs, including for almost all industries making a return on investment and keeping owners/shareholders content. But, running an operation that is self-sustaining in terms of operation and perhaps construction, labor, and supplies does not make that operation sustainable if people travel thousands of miles to get there. People fail to grasp the difference between sustainable development and operations, often brilliantly done, and unsustainable tourists coming to the operation thus making it unsustainable in the overall sense. What changes do you foresee for the tourism industry in the next decade regarding sustainability? Not much, more noise and publicity and awards, and very little in terms of making tourism as a whole any more sustainable. Quite frankly, sustainable tourism is impossible, and we should focus on making operations more sustainable and acknowledge that tourism is an industry that deep down is impossible to make sustainable. We would have to stop long-haul travel, which would be a disaster to many developing countries and regions and also drastically limit choices for tourists, both of which are undesirable for many reasons, particularly poverty alleviation. Not everything can be sustainable. Despite all the comments above, I strongly support the concept of sustainability and believe it can be applied in some areas of tourism, not many but some. We do the concept no good by pretending it is applicable in every situation in every place for every form of tourism. Ironically, we could move closer to sustainability by reducing many of the niche forms of tourism which have major carbon emission problems and boosting mass tourism which, per capita, is often more sustainable than ecotourism. 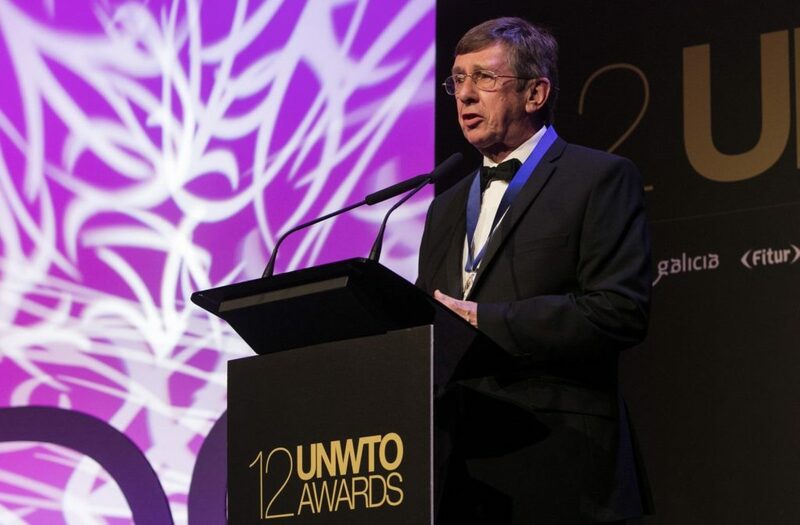 Enjoyed our interview with Richard Butler on the state of sustainable tourism and sustainable tourism education? Share and spread the word!